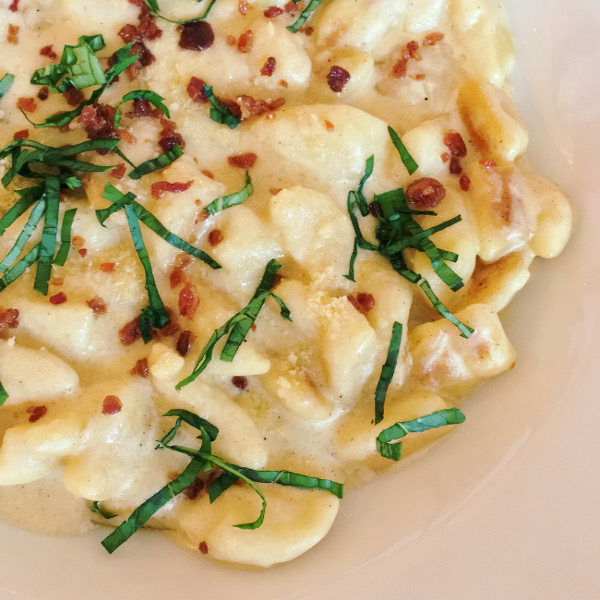 Italian restaurant Amici has come a long way. 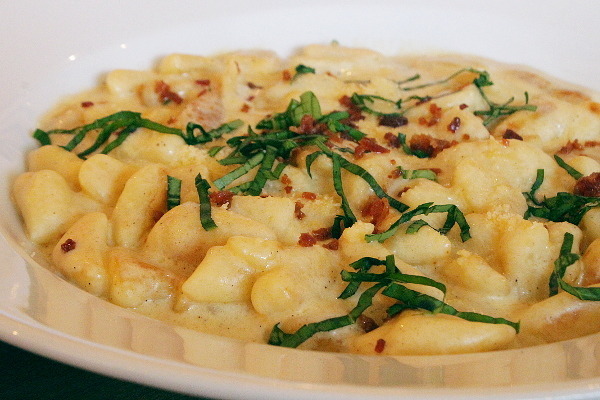 Long time patrons can fondly remember it as Amici Di Don Bosco, a cafeteria in Makati with Fr. Gianluigi Colombo introducing Italian food--wood-fire baked pizza, homemade pasta, and gelato. It was about simple comfort food, best shared with good company. Continuing this legacy is the Moran family, no stranger to the food business and the credo of good comfort food that satisfies the family. While some of the long-standing favorite dishes are still on the menu, the restaurant retaining its original recipes, bringing new flavors and refreshing the food mix is Amici Executive Chef Paolo Moran. Chef Paolo first worked in Italy, immersing himself in the cuisine and kitchens in Florence and Sicily before coming back home and serving what is in the heart of Italian cooking: fresh, quality ingredients. Amici has a long term partnership with Tuloy Foundation, a non-profit organization that gives opportunities for street children to have a better life by providing basic needs and vocational skills training. Amici gives back by selecting certain dishes on their menu--if you order these Tuloy Speciali items, P10 will go directly to the foundation. All the new dishes below by Chef Paolo are included, too, so try any or all of the five and support their special project at the same time. 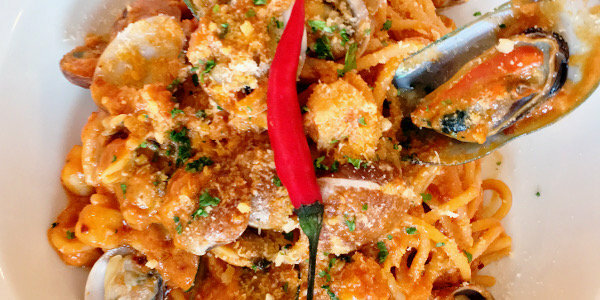 With big portions served with lots of flavor, these new dishes are definitely value for money whenever the family or barkada is craving comforting Italian food. 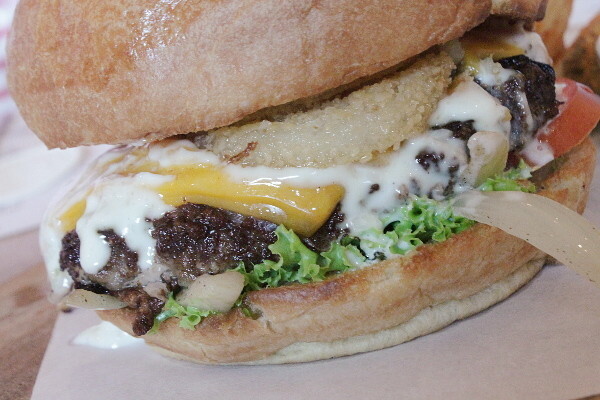 Soft and buttery toasted brioche buns sandwich a burger patty of beef mixed with Italian sausage and seasonings. 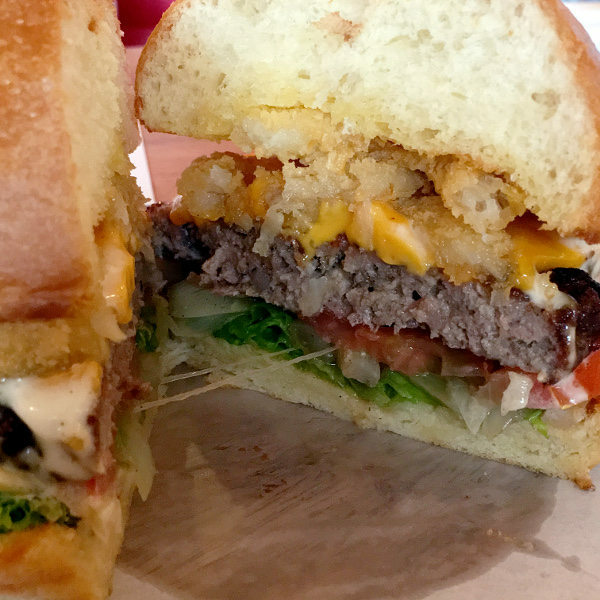 The burger patty has a distinct bite and spice becase of the sausage; it's also topped with fried onion rings, cheddar cheese, lettuce, and tomato, served with potato wedges on the side. 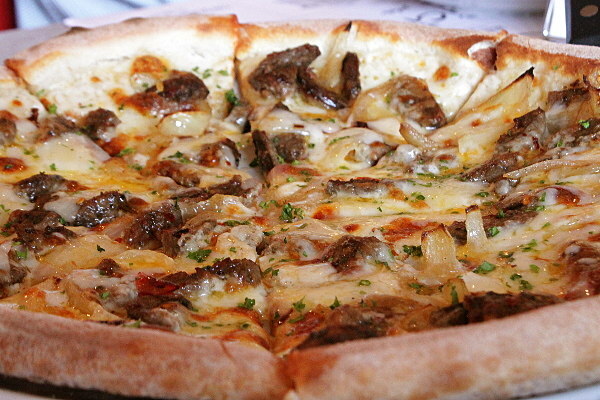 Sweet meets spicy in this freshly baked pizza topped with spicy Italian sausage, asiago and mozzarella cheese, cream, and caramelized onions. A drizzle of honey that comes as a side for the pizza tames the heat and adds an interesting flavor twist with your every bite. 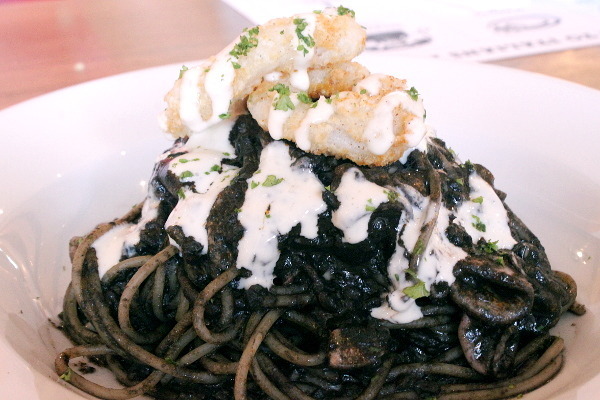 Pasta negra here has pomodoro sauce mixed into the squid ink, the deep dark color seeping into the strands of al dente spaghetti. 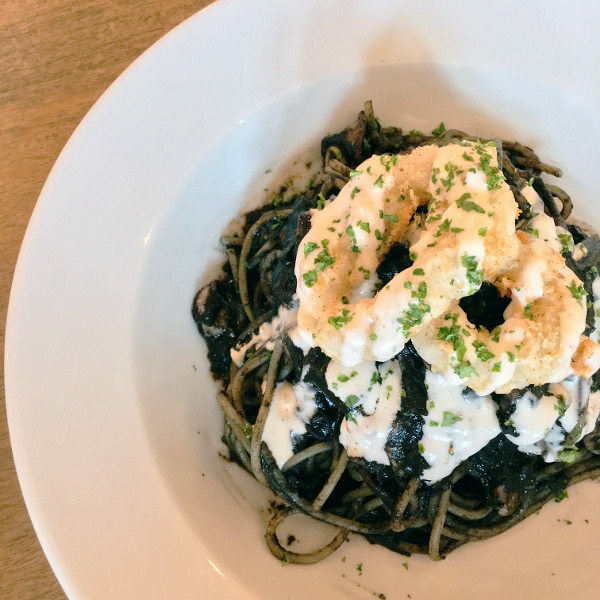 Each forkful ends with a garlicky finish thanks to the generous drizzle of garlic aioli, and the pasta is also topped with crunchy calamari. 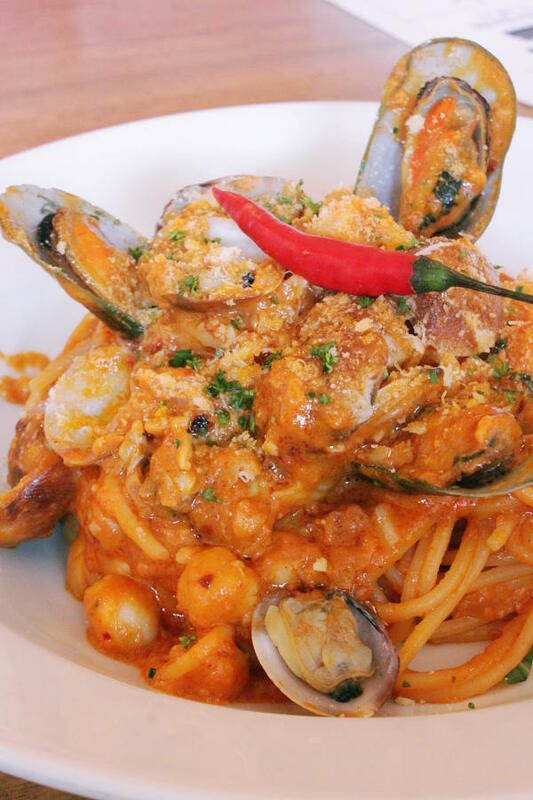 Abundant with flavors from the sea, clams and scallops punctuate each spicy mouthful of this spaghetti. The tomato and cream sauce base gets its devilish spice from both chili oil and chili flakes, and the heat on the palate builds up with every forkful. If you love spicy, then this one's your new addiction.